Demand-side interventions: Communicating opportunities, simplifying procurement and contracting, collaborative industry approaches to supplier pre-qualification, involving lead contractors / suppliers, and identifying and managing corrupt practices risks, monitoring & evaluation. 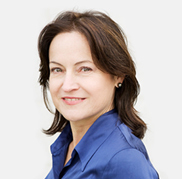 Ana Maria is founder of CIG, an international social impact management consultancy. She is a recognized practitioner in the areas of social performance, social investment and local content, especially in the mining, oil & gas and energy sector. She led the development of the revised IPIECA Local Content guidance (2016). She is an Industry Fellow at CSRM and visiting professor at the Faculty of Engineering, University of Strathclyde (UK). Ana Maria goes beyond impact assessment to work with clients to contribute to socio-economic development at the local level. Her clients have included: Anglo American, BG, BHP Billiton, Goldcorp, Newmont, Rio Tinto, Shell, and Tullow Oil. She works all over the world, with a concentration in sub-Saharan Africa. Mozambique-born, she is an Australian citizen and currently resides in The Netherlands. Includes: Course notes, USB with useful resources, morning/afternoon tea and lunch.